Many often believe that superheros don’t extend beyond the world of the big screen and are just figures created to entertain people. But, as proved by courageous sophomores Thomas Lippolt and Scott Rathjen, who saved two minors and a tenant from a kitchen house fire, heroes are all around the world. On November 15, sophomores Thomas Lippolt and Scott Rathjen were walking home from winter sports tryouts when the pair heard screams from a young boy on Merrick Road trying to flag down people for help. After they realized that there was a situation and nobody was stopping to help, Thomas and Scott ran over to the boy. After analyzing the situation, the pair quickly realized that there was a fire inside of the house the boy lived in. Lippolt and Rathjen saw the older brother of the boy, who also attends Massapequa High School, and conferred with him to find the source and type of the fire. Discovering the source of the gas fire to be from the oven, the older brother contained the flames by dousing it with cups of water. Acting immediately, Lippolt and Rathjen conjured up a further plan of action after calling the police. Rathjen, who’s grandfather had years of experience in the New York City Fire Department, took knowledge from both his family and prior safety education from school into account to strategize a quick plan of action in conjunction with Thomas. “My first thought was he [the younger boy] had nothing over his mouth, so I ran over and gave him my glove so he wouldn’t be breathing in more smoke,” Scott said. Scott and Thomas were able to figure out the layout of the house quickly, and after leading both of the brothers out of the house returned to rescue the younger brother’s hamster. After getting the students and animals in the house out of danger, Scott’s next step was to turn off all of the power in the house and keep the main door closed so that the smoke would not travel further. After carefully opening the doors to the main living room and basement, Rathjen found the electricity box and turned off the power in the house. Scott’s actions notified an upstairs tenant in his mid twenties that nobody realized was home about the fire, allowing for him to successfully escape the house. Thomas, who after calling the police had grabbed a fire extinguisher from a house next door, returned to the scene and helped put out the fire. Scott, who was shining his phone’s flashlight through the smoke to help give Thomas a clearer view of the oven, helped guide Thomas to successfully extinguish the fire. After having put out the oven fire on their own, authorities arrived on the scene. Due to the heroic efforts of the two high schoolers, everyone was able to safely get out of the house without any injuries. Not only did Thomas and Scott notify authorities of the action firsthand, but they risked their lives to put out the fire themselves and save those inside of the house. Without the pair’s remarkable bravery, the situation easily could have escalated and injured many both inside and outside of the house. Stepping into the shoes of first-hand responders, Thomas and Scott became real-life heroes and reacted to a situation that they easily could have avoided. In addition to displaying impressive knowledge regarding the topic, both students’ ability to apply such knowledge in an emergency situation and keep calm while doing so shows their true studious personalities. Authorities notified interim principal of Massapequa High School Mr. Brian Conboy of the actions, who then praised them for their heroism and invited them to join the school’s safety committee. The safety committee, which focuses around new safety measures the school can take to prevent dangerous scenarios from occurring, includes both students and school faculty. “Scott and I plan on making our school safer in every way we can while on the safety committee. 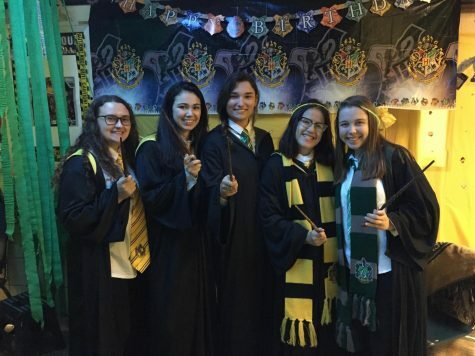 Both of us, among other students on the committee, help the school see from a student’s point of view,” Thomas said. 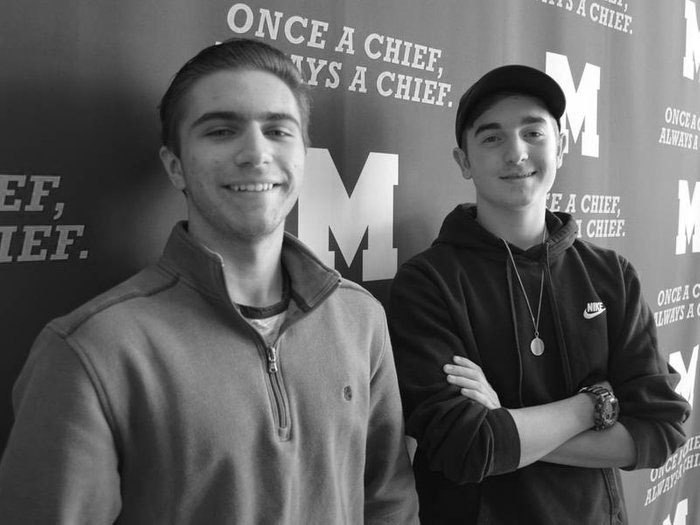 Both Thomas and Scott continue to serve on the school’s safety committee and shine as a bright example of Massapequa’s best and bravest heroes. Safe Halloween; Why should you go?